I’ve invited several language bloggers who I admire to answer the following six questions. It is my pleasure to feature the following contribution from Toby from Travels With Toby. English is my native tongue. Spanish is the second language I know best. I’ve studied French and Italian as well and can understand them a bit. Even though I began learning Spanish in junior high, I call myself a lifelong learner of Spanish. So, I’m still learning Spanish. When I move to Spain I hope to learn Portuguese. This is an interesting one for me. I first started learning Spanish in junior high as previously mentioned. I continued through high school and then in college I decided to make it my major. I loved it and enjoyed it and I am the proud owner of a Spanish degree – that I basically did nothing with sadly. I’ve worked in accounting/financial analyst positions pretty much since leaving college. I did not keep up my Spanish for most of that time. Then we were planning a trip to Spain in 2010 and I felt it was my duty to be the guide/translator for my family so I started studying a couple of years prior to our trip. I got myself a couple of pen pals and I made sure I read something in Spanish every day. Right now I continue to try and read something in Spanish every day and then I discovered the RNE (Radio Nacional de España) app for my phone. Every night I listen to the radio direct from Spain! And I understand most of what they’re saying. I recently discovered a Spanish conversation group and I had planned to attend weekly but other things have taken priority at the moment. I do plan to go back in the near future so that I can practice my speaking skills as well. My husband and I hope to retire to southern Spain in about 5-6 years. And since he doesn’t know Spanish (yet!) I feel I need to be nearly fluent by that time. It’s really not terribly difficult to keep me motivated as I love the language so much. I follow several Spanish blogs as well and have even made a few friends so it helps to stay in touch with these new friends via their blogs. Find something that works for you. Everyone learns things differently so what works for me may not work for you. I loved going to class at the time I was taking classes. I now love the app for my phone. There are so many resources on the web to help people learn all kinds of languages. I created a page on my blog of resources that I have found over the years to learn Spanish. If anyone is interested, please click on the link. Once you find something that works for you, stick with it. Learning a language is not something that happens overnight. Indeed, I have studied Spanish most of my life and I still don’t know it all! If you are serious about learning a language, make a commitment to study a certain number of hours each week. And make sure that you practice it. Find a conversation group or a one on one exchange. When I was a student in Madrid a lot of us had intercambios. We would meet up with a Spaniard who was learning English and we’d spend time speaking in each language. It’s a great way to practice and I highly recommend it. Of course you need to be living in the country where your language of choice is spoken. I would love to find an intercambio here in the U.S. I did come across Interpals where you can converse via skype, however, I haven’t found anyone to converse with just yet. I’ve invited several language bloggers who I admire to answer the following six questions. 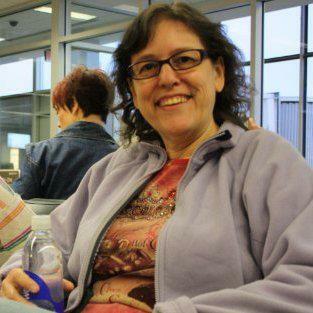 It is my pleasure to feature the following contribution from Maria Babin, the Trilingual Mama. 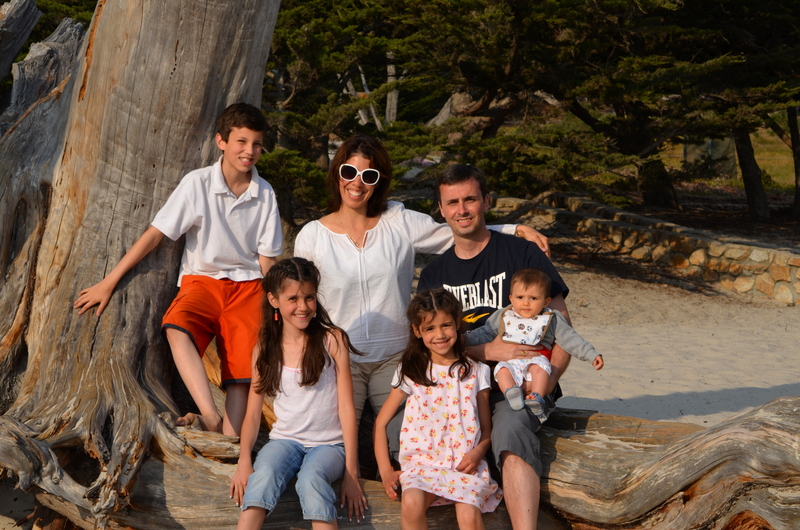 Maria is an American-Peruvian-Mexican wife to a Frenchy and mother to their four trilingual children. They live in a lush green valley south of Paris and love spending time together as a family, eating Mexican tacos and traveling to the United States. Maria is a daycare provider by day and social media manager for their family business by night. 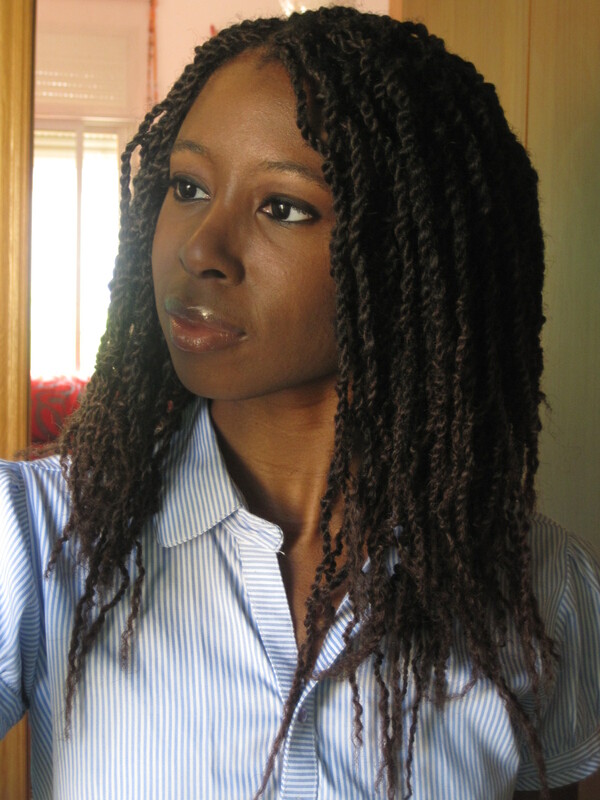 She also blogs at Trilingual Mama and Busy as a Bee in Paris. Spanish was my first language as my Mexican mother barely arrived in California didn’t yet speak any English, but I learned English when I was about 3 and consider it my true mother tongue. I started learning French as a young girl, then later in high school and at the university and am fluent today. I am still learning French! I am fluent, but it depends on the situation and context and feel I need to continually improve my vocabulary, listening comprehension and oral expression. I should also be learning Spanish, but am less immersed in this language since we live in France. I am an observer. I like to watch and listen and then I try to imitate what I learn so that my choice of vocabulary, my intonation and inflections and my sentence structure matches those of native speakers. I also ask my children (and sometimes my husband) a lot of questions about what is the appropriate way to say or pronounce certain things! For learning Spanish, it is limited to looking up words on an online dictionary when I get “stuck” while speaking to my children when we don’t know the word for something. If I have a native speaker nearby, I will always prefer to ask that person! All of these questions are interesting because I mostly identify myself as a language teacher, first by profession and most importantly because I’m raising four trilingual children! But a teacher must first be learner, right? I think I approach learning languages the same way I seek to teach them – in the most natural and fun way possible. I am a hands-on learner. I like to jump in and figure things out as I go along. This is the way I teach my children. We live in our three languages and we learn as we live: mealtimes, cooking, crafts, reading, outings, and so on and so forth. My languages are a very real link with my heritage. I believe I have a legacy to help live on. My children are a blend of North America, Latinoamerica and France. They are so lucky. I want to keep the languages alive for us so that we can continue to communicate with our family and relatives in the United States and Peru and Mexico. I want my children to know about the people that came before us. I want them to be linked to the culture and history of all their countries because it is who we are. This motivates me to keep the languages alive for myself and my husband and our children. We love being a trilingual family. We are happy living our multilngual, multicultural family life and we couldn’t dream of being any other way. This is motivation in and of itself. Start somewhere, start small, but move forward. Immerse yourself in the language and be brave to start speaking it as soon as you can. Enjoy the magic of a new world that will open up to you. And on the practical side, surround yourself with others who value speaking many languages. They will give you the support and advice you need to be successful. I’ve invited several language bloggers who I admire to answer the following six questions. It is my pleasure to feature the following contribution from Julien Leyre at his self-titled blog Julien Leyre. 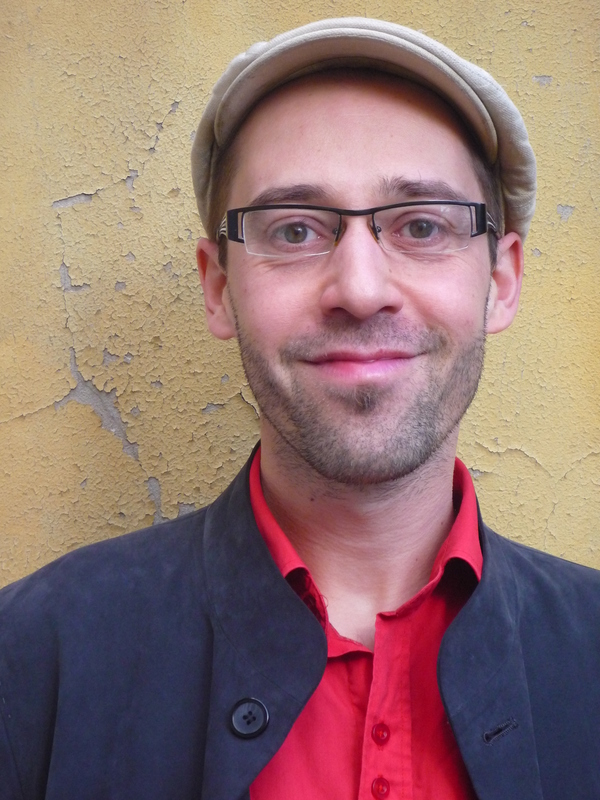 Julien Leyre is a French-Australian writer, educator and social entrepreneur. Julien studied humanities and classics at Ecole Normale Superieure before teaching linguistics and translation at the Sorbonne. In Paris, Julien also collaborated with musicians and film-makers, and published his first novel in 2008. Since migrating to Melbourne in 2008, Julien has taught French and worked in government strategy while pursuing his work as a writer and collaborative artist. In 2011, he founded Marco Polo Project, a web-based organisation promoting collaborative models to develop Chinese and China literacy. In 2014, he’ll be directing the first Marco Polo festival of digital literature, bringing together readers, writers and translators from China and Australia. Julien has been invited to speak in multiple festivals, conferences and in the media about the multilingual internet, crowd-sourcing models and cross-cultural literature. He blogs at julienleyre.wordpress.com, and tweets as julienleyre. You can also follow his work through marcopoloproject.org. I usually tell people I can speak seven languages: French, English, German, Italian, Spanish, Greek and Mandarin. I also studied Ancient Greek, Latin and Hebrew. French is my native language, but I now live most of my life in English. My first foreign language is actually German, which I learnt in primary school in Strasbourg. I’ve got an Italian background, and picked the language along the way. My Greek, is a bit rusty now, but I used to read Plato directly in the text (in Ancient Greek), and have long conversations with Athenian intellectuals (in Modern Greek). My mother lives in the Dominican Republic, so that motivated me to learn some Spanish. And though Mandarin is a still work in progress, I’m entering the fluent zone. For the last five years, I’ve focused all my efforts on Mandarin. That language is so very difficult! I studied linguistics and classics, so I’m not bad with Indo-European structures. Mandarin is another beast altogether. Beside the tones, the writing system, and impossible consonants, there’s a complete semantic system to pick up for scratch! I just spent four and a half months in Nanjing, and that has made a big difference: now I can have a conversation on about any topic, write text messages, or read a book and even enjoy it! I’m still very clumsy, but after year of dry practice, being able to just us the language is bliss. And to reward myself, I’ve started the Portuguese stream on duolingo. I’m a very intuitive learner. What I mean by that is, I won’t get the details until I get a sense of the whole – and that applies to phonetic systems, grammar patterns, and vocabulary. My experience of language study is like walking ahead among shadows, and then all of a sudden, a very clear part of the landscape emerges. I’m also very disciplined, and very independent. I’ve learnt four languages as an adult, but I’ve never been to a beginner class. I’ll teach myself through the first levels, then join an intermediate class to get some focus and fill the. By the time I get frustration with that intermediate class, I’m typically advanced enough that I can continue with direct exposure. As I said, I don’t like learning in class: it’s generally too slow for me, yet not repetitive enough. I like to rush through the basics till I get my first click, and then come back, adding layers. I think language learning is not so much about ‘growth’ – learning new things – but mostly about ‘consolidation’ – integrating what you know already. But since I get bored easily, I like to do that by using a range of tools and manuals, both online and offline. One thing I’ll do is go to the language learning section of a good bookstore (or a public library), and systematically leaf through every book on the shelf. If anything feels boring, dry, or confusing, I put it back; but when a book feels like I want to spend time to it, then I tend to get it, even if it’s not my level, and I’ll work with it. I’ve started using duolingo recently for Portuguese, and I like it! I’ll definitely recommend it to my students. I’m not sure if it would work for advanced levels, but I think it’s really good for early stages. Apart from what I just said, there’s three ways I keep on track. The first is a classic: I make myself a playlist in the language I’m learning. I trained as a classical singer, and I like very diverse styles of music. My Chinese playlist has trained my ear, but it’s also boosted my confidence: when I go to a restaurant in Chinatown and they’re playing a song I know, I feel that I belong in that linguistic world, somehow. The second trick might sound a bit odd, but works for me: I declare that I can read fluently, and start behaving as if I did. I try to pick up a book that I don’t find to hard, and I just read it. I finished a Mandarin version of Twilight two years ago – I don’t know that I actually understood much of it, but I still went ahead. I find that reading really helps me remember what I already know, but also helps me develop an intuition for the grammar and natural rhythm of the language. Also, more fundamentally, the main reason I learn other languages is to see the world from a new perspective, and what’s a better way to do that than read? That’s ultimately what I set up Marco Polo Project for: so that more people could access the voices of Chinese writers and thinkers. Finally, as soon as I feel socially comfortable, I’ll make efforts to find native speakers, and look for someone I click with. It’s not so much about practicing with lots and lots of people, but finding one or two people I actually want to be friends with – when that happens, things become easy, I’ll just work on the language for the sake of friendship. That last point is probably the most important. I’ve got two pieces of advice for you. The first is to be very clear about why you want to learn this language. Learning a language is long and difficult, and if you just do it because it may be useful, one day, in general – or because you’ve got this one arbitrary trip planned – I’m not sure you’re gonna succeed. The language that most transformed me is probably Modern Greek. It’s hardly got any economic value, yet by learning Modern Greek, I had access to a world no one else around me could enter – I connected to my Mediterranean roots – and I had the best holidays! Ultimately, what matters is that you learn a language that matters to you. And that may not be Mandarin or Spanish, but Thai, or Wolof, or Swedish. The second is to be ready for a long journey full of obstacles, and the main ones are probably emotional. I have compared it to recovering from a car accident or a stroke: suddenly, very simple cognitive tasks are remarkably demanding, it takes a lot of effort to do simple sums, you can’t say anything half intelligent, and very basic social interactions become terrifying prospects. It’s really tempting to just give up. The worst thing is – it never get better. After a month in Nanjing, I felt I’d finally made it, I talked about my projects in Mandarin for two hours with a potential partner, he liked me, and I didn’t even feel exhausted. Next thing I know, I find myself attending a Mandarin only networking dinner, where I must come up with a nuanced evaluation of Australia’s education system in between rounds of baijiu. And I felt I was taken right back to square one. Learning a new language is like hearing the world in stereo – you’ll discover new perspectives, and gradually, you’ll discover new thoughts, new feelings and entire new cognitive landscapes you never suspected could exist! It may be the most rewarding thing you’ll ever do, but it’s not an easy task, so be ready! I’ve invited several language bloggers who I admire to answer the following six questions. It is my pleasure to feature the following contribution from Zara Chiron from her website The Wounded Is Now The Healer. Zara Chiron is a Naija Gypsy living in Europe between France and Spain. She is an aspiring entrepreneur whose multilingual ambition is rooted in her desire to produce meaningful change inspiring artistic projects based on the collective Afro voice and experience, that will be linguistically accessible to Africans and the African Diaspora worldwide. I speak English. It is one of my native languages as I am from Nigeria, a country in West-Africa that was an English colony and hence still has English as the official language of the country. First of all, I need to stress that on the African continent we have various full blown languages that are to be respected and not illogically reduced to “dialects” which is a negative remnant of a condescending colonialist and racist mentality. I speak Igbo. My true mother tongue which is a very rich language spoken in Nigeria, and other parts of Africa. I do not speak it as fluently as I’d like but I do intend on remedying this situation in the near future. I speak Pidgin – which is a dialect of English often spoken in Africa and can be likened to Jamaican Patois. I understand a little Yoruba – another beautiful language spoken in Nigeria, and other parts of Africa. I also intend to perfect my Igbo and learn Brazilian Portuguese in the near future. I completely immerse myself in the target language. And contrary to popular belief, one does not need to up and move to the target language’s country in order to have a total immersion experience. On another note, I make a point to NEVER speak my native language if I happen to be living in the country of the target language. I use free ways to acquire basic knowledge of the target language and then make it a constant, fun, creative part of my everyday life until I attain fluency. This method eliminates any potential financial or time obstacles and enables me to organically learn the language on my own, my way, to suit my language learning needs, and on my own time. My underlying purpose for learning these languages is deeply tied to my professional ambitions which I am so passionate about that they are essentially my life. I enjoy discovering the world and with the more languages I acquire, the bigger, richer and deeper my experience of the world becomes. I also make it so that I don’t ever lose a language by embedding it so strongly into my life that it would be difficult, or a tragedy, to do so. There is no big secret to learning a language. Just do it. Do not be afraid or talk yourself out of it. Just start learning, bit by bit – in a way that suits your own learning style and sooner than you think you’ll see progress. It is 2014 and there are tons of free resources on-line. Don’t get caught up in an imaginary check-list of things that you believe that you “must have” in order to learn. All you need is yourself and your sincere desire to learn the language. If I could do it, more than once – and I am the worst student ever in the history of the entire world – then you can definitely make it happen for yourself. And trust me – it is so worth it! Being able to speak another language enriches your life in so many ways that I cannot even begin to express. With every language you acquire – Professionally, personally, spiritually, you, your life and your world will never be the same; and always for the better. I’ve invited several language bloggers who I admire to answer the following six questions. It is my pleasure to feature the following contribution from Jamie Adams at The Polyglut. 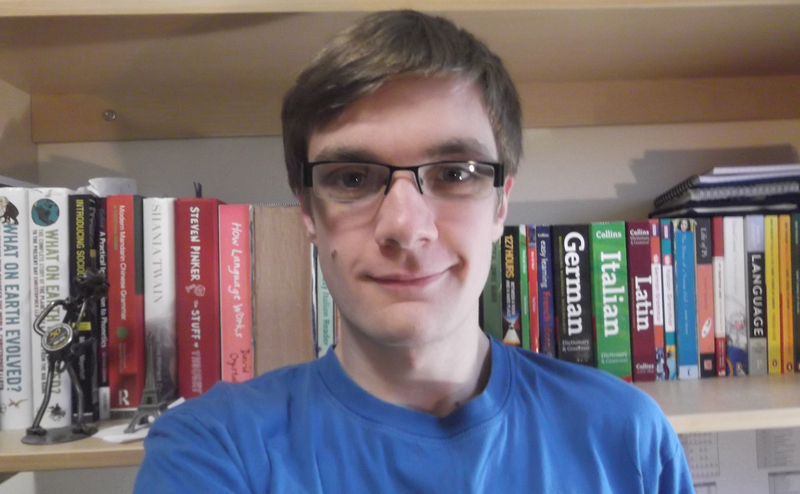 Jamie Adams is an undergraduate student of French and Linguistics and devoted language learner. After reaching fluency in French, he decided to take on new languages, including Italian, German and Mandarin Chinese. He currently uses his language skills to teach French online and on a one-to-one basis. On his blog, The Polyglut, he writes about his travelling adventures, his experiences with language learning and his advice for fellow, aspiring multilinguists. There are several different answers to this question, but I’ll stick with the simplest and say that English is my native language, I speak French fluently (whatever that means) and my Italian isn’t too far behind. Other than those that I already ‘know’, I am learning German and Mandarin Chinese. Having said that, I should technically include French, Italian and even English in the learning list. As a student of French and Linguistics, I am learning more and more about French and my native language every day – you might even say that I am studying these more so than any others. Like all the others, my Italian is far from perfect, so I am certainly learning that one too. Unless I have a good reason to, I don’t like to rush. Learning a language is inevitably a long journey and I see no reason to take short cuts. Of course, if you need to learn a language before a trip abroad or for business, you might want to speed up the process, but I wonder why some language enthusiasts are so keen to learn quickly. I revel in the language learning process and have no desire to rush through it. I am also quite disorganised in regards to language learning. Setting goals and targets adds unwanted pressure and stops me from enjoying myself. I learn as and when I want to and I don’t force myself to do things that I won’t enjoy. I am a very grammatical person, so the first thing I buy when I start learning a language is a grammar book. Phrasebooks are OK for a single trip abroad, but, for me, truly learning a language is about getting to grips with the grammar and constructing my own sentences. Once you’ve got the grammar down, everything else is just vocabulary. I like to read, so I have quite a few books for reading in various languages. Some are specifically designed for the non-native speaker, some are authentic children’s books and others are novels – it all depends on my reading ability in each particular language. I also frequent news websites which provide an ever-updating range of accessible reading materials. I find that reading is a great way to learn new vocabulary and get a feel for the way a language expresses itself. Up until recently, I was reluctant to use websites that claim to teach you a language. Most of them are financially motivated and, while they claim to hold the ‘secret to language learning’, most of them are just a ploy to get you to spend money. However, I have been enjoying Duolingo recently (which is free) and my German has come on leaps and bounds. I am also a fan of Michel Thomas courses which gave me excellent introductions to German and Italian. I didn’t rate the Mandarin course quite so highly, but it taught me the basics, nonetheless. The thrill of learning a new language and the rewards that I reap from it usually provide me most of the motivation that I need. However, that is not to say that I am immune to the occasional loss of enthusiasm. Whenever I reach a low point in one of my languages, I try to remind myself why I started learning it in the beginning. I look for the element(s) of the language that attracted me to it in the first place and think about how much I will benefit from persevering. If there is a particular cause for a loss of motivation (perhaps I can’t get my head around a particle in Chinese or I am constantly getting my German cases mixed up), I tend to avoid it for a while and come back to it when I am feeling a little more enthusiastic. Frustration will only reduce my motivation further, so I like to move on to something that causes me less grief and return to it later on. I could write a novel answering this question, but I’ll do my best to remain concise. I suppose the best piece that I can give is to enjoy the way that you learn a language. People are so determined to find a single method that will guarantee success, but the secret doesn’t lie in the method itself; it’s all about how much you get out of it. The more you enjoy the method that you pursue (regardless of what everybody else thinks) the less it will seem like a chore. Forcing yourself to write something out five thousand times will do you no good if you don’t like doing it. Do something because you want to, not because you feel like you have to. If you ever feel like you’re not getting anywhere and you’re on the verge of quitting, remember that if other people can do it, so can you. At the end of the day, you are a human being – you’re brain, just like everybody else’s, has the capacity to learn a language. I don’t think for a second that you can learn a foreign language in the same way that you learnt your mother tongue, but it doesn’t take anyone special to be able learn a new language. If you have the determination and the will to do it, you will eventually succeed.